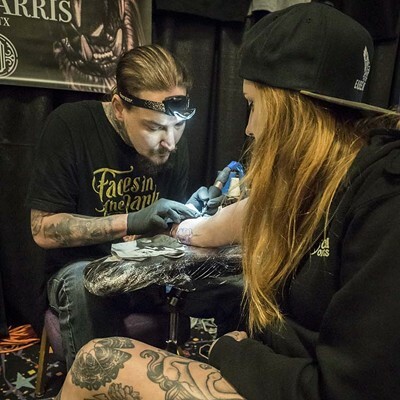 Tattoo artist Megan Franklin, of Springfield, Missouri, had Tye Harris, of Kyle, Texas, add a realistic tattoo of her grandparents on their wedding day to her arm at the Inked Hearts Tattoo Expo at Blue Lake Casino and Hotel this past weekend. 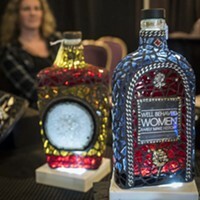 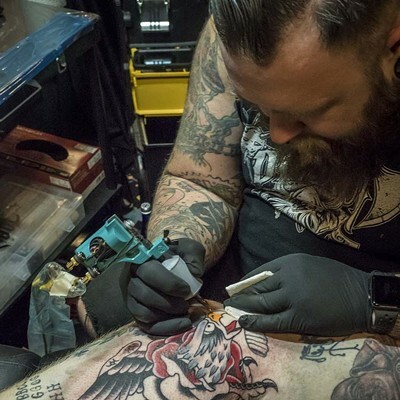 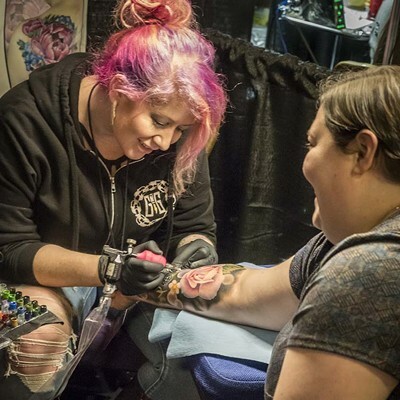 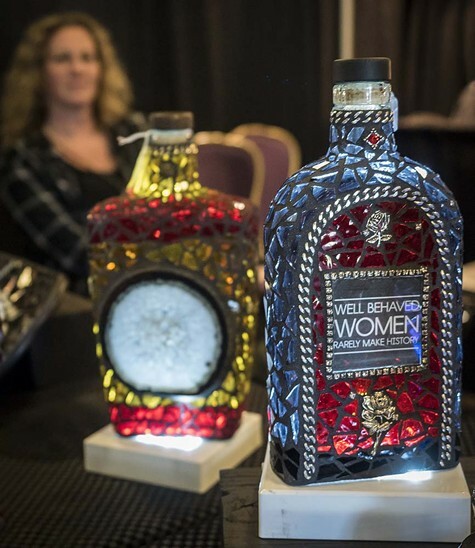 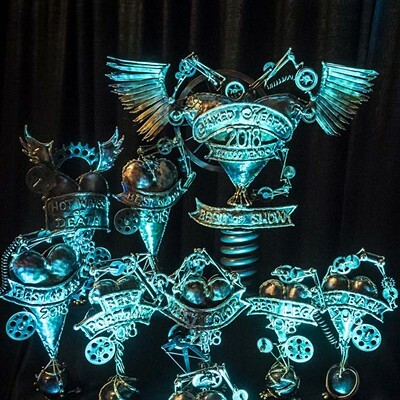 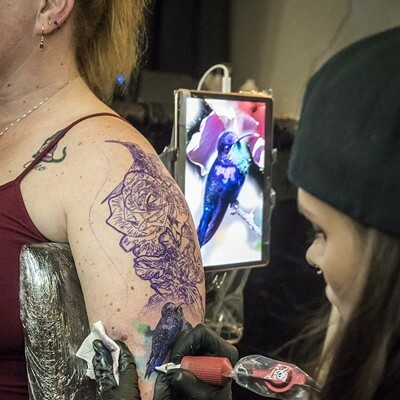 The ninth annual Inked Hearts Tattoo Expo at the Blue Lake Casino & Hotel in Blue Lake last weekend wrapped the usual work of more than 30 talented tattoo artists around a few new features. 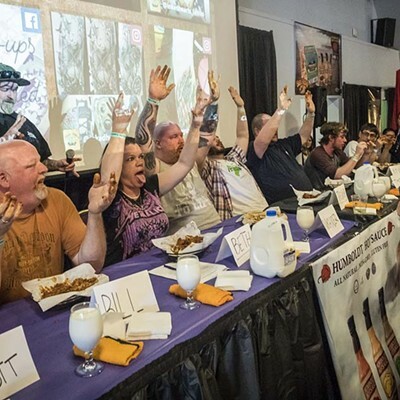 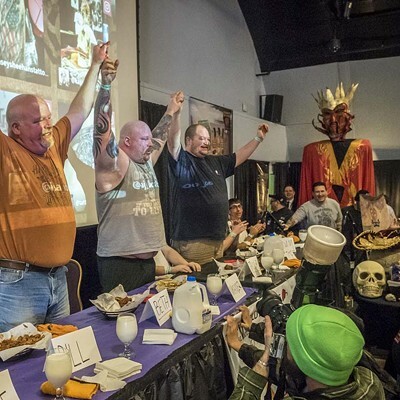 Event organizers Ted and Amy Marks added the Hot Wings of Death Challenge and the all-bulldog Super Bully Bowl Pageant to the usual line up of the Hot Guy/Hot Girl Contests, daily tattoo contests and live music. 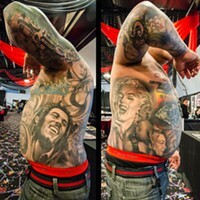 The bulldogs were not judged on their tattoos. 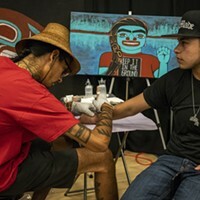 See a slideshow of the contests and some prize-worthy body art below.